Super Power 6 IN 1 Premix Coffee With Tongkat Ali Ginseng & Misai Kucing is made from premium coffee beans and enchanced with Tongkat Ali, Ginseng and Misai Kucing. As a man, you are assured of the extra vigor boost for your day. when will you have more in stock? 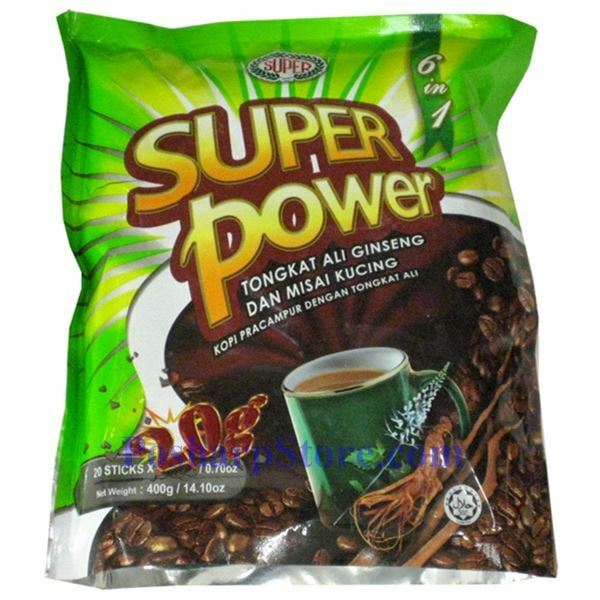 This coffee is the best but unfortunatley it is hard to find or out of stock. hi can you write a message to my e-mail when you get the coffee the green one pleas. jolitta.p@hotmail.com and i wanna know how much for the delivery .